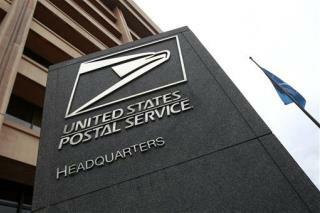 (Newser) – The hole in the US Postal Service's finances in the second quarter of this year was so big that it would not have been filled if every American bought a first-class stamp every day for a month. The struggling service has reported a $5.2 billion quarterly loss, and says it's nearly out of cash, reports the Wall Street Journal. Last week, it defaulted for the first time in its history, failing to make a legally required $5.5 billion payment for future retiree health benefits, and it may fail to make a similar $5.6 billion payment at the end of September. The USPS is obligated to deliver mail to anyone anywhere under any conditions. This has always been a money-losing business model. Now, they could raise postage to $1 a letter from the present 43 cents. That's what I would suggest. this could be reason most mail people smell and make mail smell. now maybe the post should pay employee in soap.